We all have labels. Placed by ourselves or others. As far as we run, or as fast, the labels remain. They deride the heart. You’ll never change. You’ll never get beyond this. They taunt the soul. You’re hopeless. It’s impossible. There is no hope. But as long as we can grasp that one thing – hope – we can still hold on. No matter how feeble its flickering flame. No matter how far its sparkling starlight. No matter how vague its whispered promise. 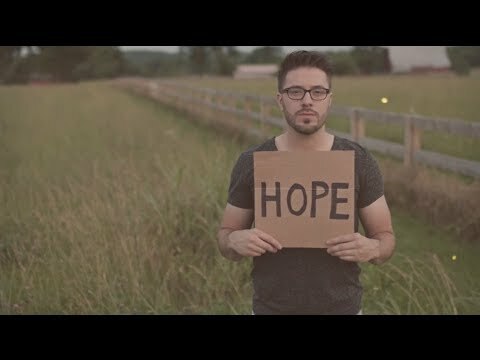 “There is hope in front of me,” Danny Gokey sings. Hold on to hope. Never let go. No matter how distant the promise. Let it burn inside your soul. If you can’t see beyond the mist that fogs your eyes and casts question upon your future, that’s okay. All you have to see is the Hands. Look at the hands holding you. The scars denoting deepest grief. The hope they bear beyond death. The way, the truth, the life.